The Western Pennsylvania Annual Conference of The United Methodist Church is one of 63 regional bodies in the United States that form the basic unit of the connectional church supervised by a bishop. The Western Pennsylvania Annual Conference includes all or part of 23 counties in Western Pennsylvania. The Conference has 10 districts and includes 830 local churches. The geography is diverse, from the plains around Lake Erie to rolling foothills and mountains, with thick, native woodlands in the Allegheny National Forest, and the vibrant urban center of Pittsburgh–the second largest city in Pennsylvania. The Conference Treasurer is accountable to the Annual Conference Council on Finance and Administration and works closely with the Bishop, who has oversight responsibility for staff within the Episcopal offices. The Annual Conference is clear about their vision, mission, and values, and is seeking a Conference Treasurer that will support the stewardship function and align resources to support Conference ministries. Our mission is to provide leadership, connection, and resources to make disciples of Jesus Christ for the transformation of the world. Our vision is to ignite and sustain a passionate, spiritual connection with Christ among all people in Western Pennsylvania. Our core value is love. We love the Lord our God with all our hearts, souls, minds, and strength, and our neighbors as ourselves. This value is commanded by Jesus, inspired by our Wesleyan heritage including to spread scriptural holiness over the land, and witnessed through our integrity, accountability, and inclusiveness. 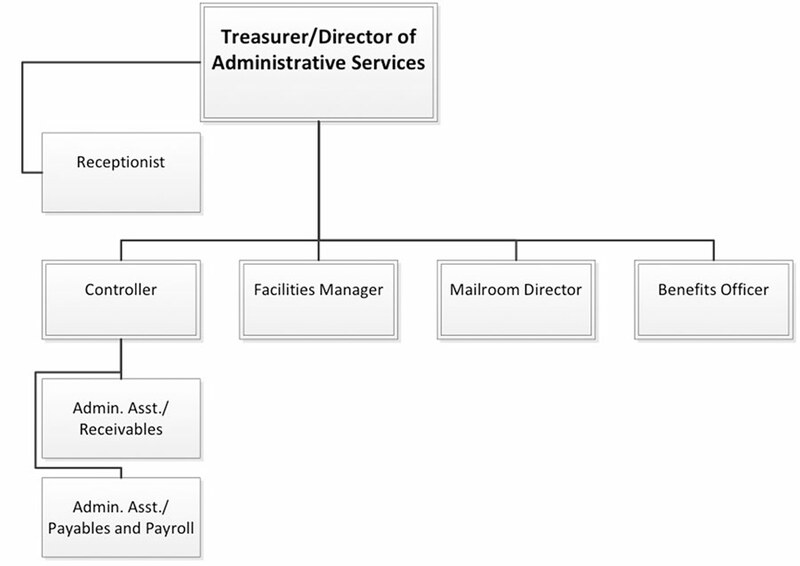 The Conference Treasurer serves as the Director of Administrative Services for the Conference staff, and in this capacity supervises 7 employees. The Treasurer is elected by the Annual Conference and oversees an annual operating budget of $43 million, in addition to more than $20 million in investment funds. Requirements for the position include a Bachelor’s degree in accounting or related function, and five to ten years’ experience in finance. The Treasurer must be a member in good standing of The United Methodist Church. This Treasurer will need to have strong financial skills, work effectively in a team environment, communicate effectively, and be willing to travel to General Church meetings and Annual Conference events. Preferred qualifications include: experience supervising financial and payroll functions, investments, pension, and understanding of the ministry, finances, and polity of The United Methodist Church. A CPA is desirable, but not required. The ideal Treasurer will instill trust and earn the respect of the Bishop, clergy, local churches, laity, and Annual Conference Council on Finance and Administration by his/her competence in financial management, stewardship, and commitment to serving the church’s mission of making disciples of Jesus Christ for the transformation of the world. He/she will have a strong financial and accounting background and will be able to translate that knowledge simply and understandably to assist, educate, and train local church pastors, treasurers, and stewardship volunteers. He/she will be knowledgeable in the operation of faith-based and nonprofit financial structures, be able to work effectively with volunteers, and be open and transparent in his/her communication and decision making. The Treasurer will provide fair and balanced supervision of the Finance Department staff; model exceptional customer service within the organization and throughout the Connection; and work cooperatively throughout the Annual Conference. The Treasurer provides creative problem solving skills yet balances this with ensuring effective internal controls and auditing procedures for stewardship of Annual Conference funds. He/she ensures the department provides accurate and timely financial statements, reports, and budget documents, and engages in long-term financial forecasting to ensure the viability of the Conference and its ministries. The Treasurer will be an excellent teacher and clear communicator and will be an asset of the Annual Conference, its committees, and local churches. Total compensation is expected to be $90,000 – $110,000 depending on experience and qualifications. You can apply online right here, just click the button to get started. Candidates will need to submit a cover letter, resume, and 3 – 5 professional references. Application deadline: March 6, 2014. Questions should be directed to Catherine Tuck Parrish at ctuckparrish@thenovakconsultinggroup.com or by telephone to (240) 832-1778 .